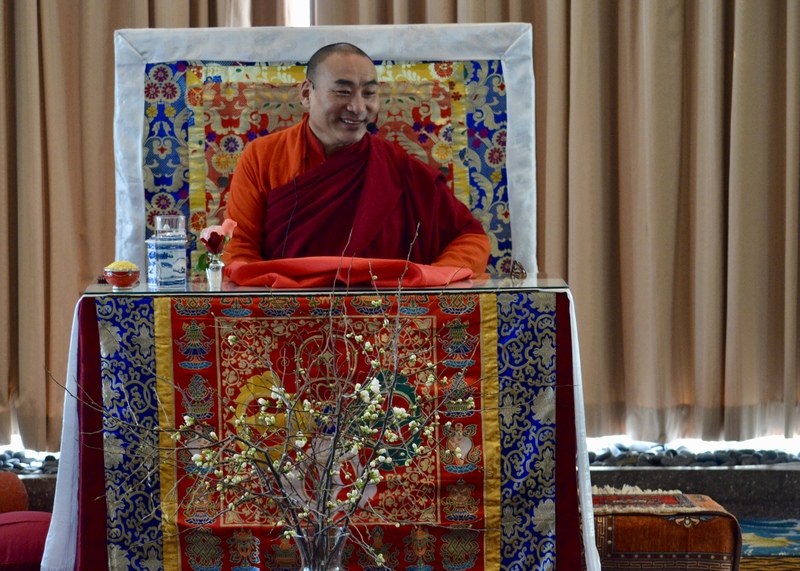 At the request of his students, Khentrul Rinpoche comes to Connecticut each year, giving the shoreline community a rare opportunity to connect with an authentic spiritual lineage and teacher. The sangha also gathers to watch live video streaming events. 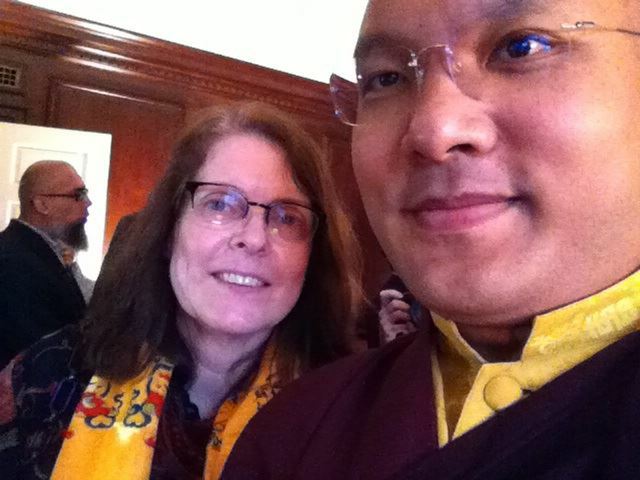 Since 2003 he has helped those who have studied with him to develop a foundational understanding of buddhism. He has taught from classic texts on the topics of compassion, wisdom, mind training, and meditation practices. Join our email list to get notices of all teachings. 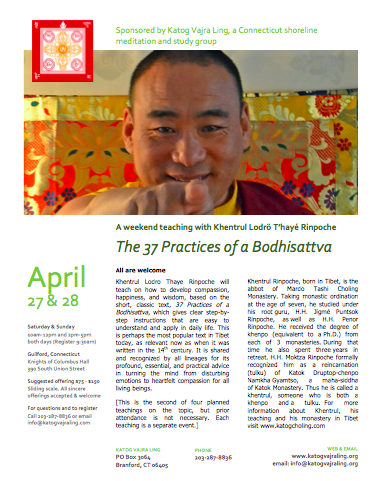 A NEW WORKSHOP WITH KHENTRUL RINPOCHE!! As we encounter adverse and unwanted circumstances in our lives and relationships, our inner thoughts and afflictive emotions buffet us about like the wind, causing us enormous suffering. We suffer because we lack the the skills needed to enable our minds to remain profoundly undisturbed in the face of change and challenge. 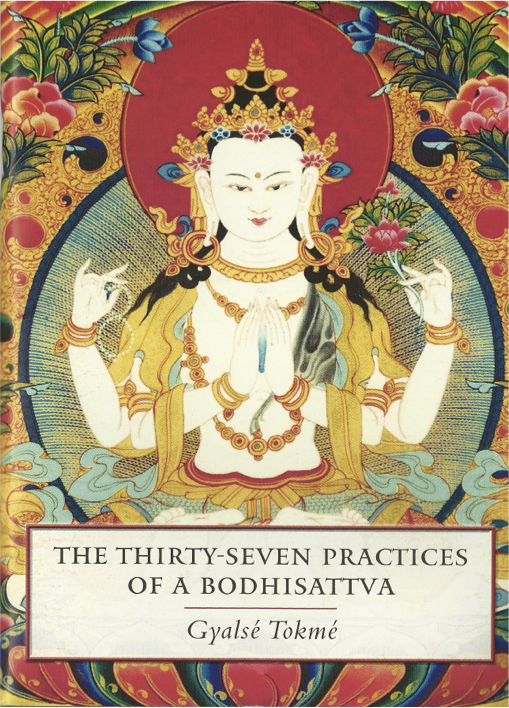 As human beings, we have the innate potential to learn, develop, refine and perfect these skills explicitly revealed to us by the Indian saint Shantideva in his The Way of a Bodhisattva (Bodhicharyavatara), one of the most revered poetic treasures of Buddhist literature. 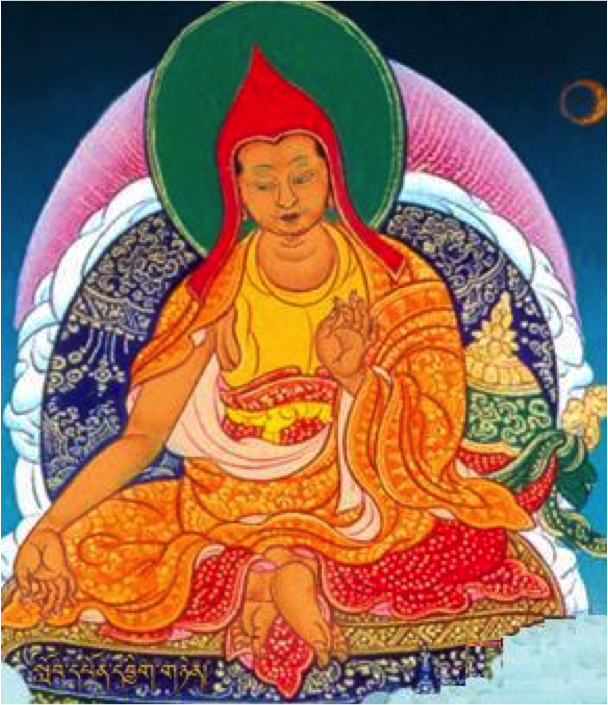 Shantideva teaches the way of compassion – the path of those bodhisattvas who, overwhelmed by the suffering of beings, explore the process of transformation and awakening in order to benefit all beings. Although composed in the 8th century, Shantideva’s methods and words of wisdom continue to remain vibrantly applicable to our experience in this modern age. 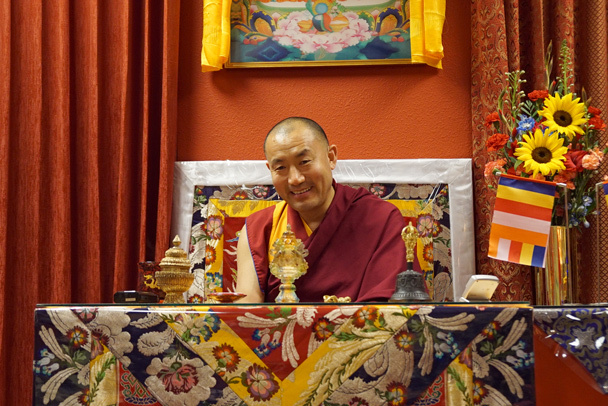 Khentrul Rinpoche’s teaching will focus on the sixth chapter elucidating a practice called patient forbearance that reduces our mental afflictions. 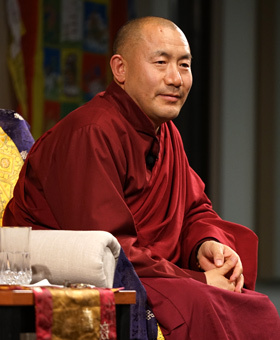 This wisdom combined with Khentrul Rinpoche’s keen insight into the western mind and our modern dilemmas is a wish-fulfilling jewel that enables us to make a difference in our lives and others. Suggested donation $55-75 per day or $110-150 for the weekend. *No one will be turned away for lack of funds. 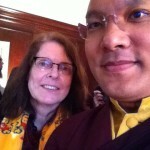 **This donation does not include donations to Rinpoche and his translator. For lodging at Water’s Edge Resort: Call 800-222-5901 and give discount code 374572 or say “Katog Vajra Ling”. Questions?? Email — info@ katogvajraling.org or call Kathleen Hayes at 203-641-3563. 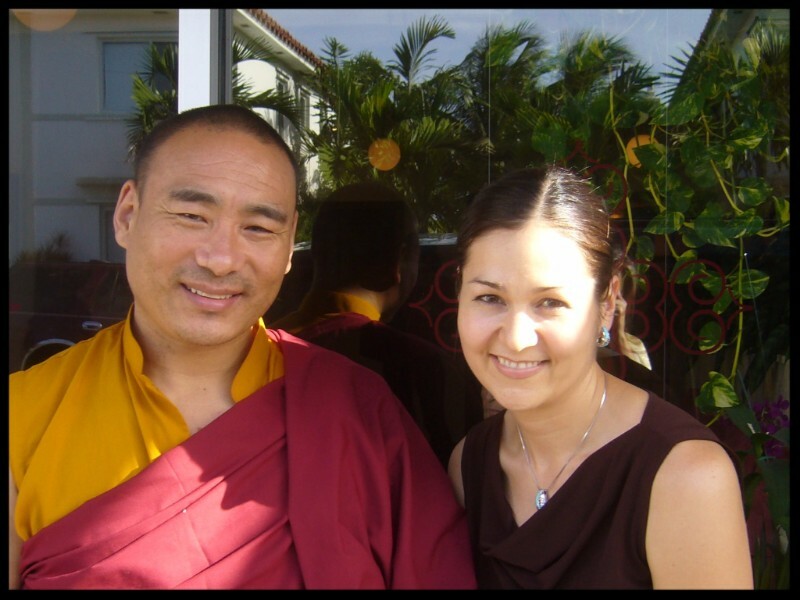 Paloma Landry, Rinpoche’s translator, will join us in September to go over the key points of each section extracted from the teachings Rinpoche has given us. This will be an integrative workshop. We will discuss these key points and also open space for people to contribute. We’ll welcome personal stories and examples of how we are applying the practices in our lives, including both the challenges and the successes. Following the weekend, there will be a supportive online practice course that actively guides us through each practice of the seven key points of the workshop. This optional course will provide eight months of daily contemplations for integrating mind training into our everyday lives. In the third part of this series, Khentrul Rinpoche will focus on the final section of “Transforming Happiness and Suffering onto the Path”. This is the practice of transforming adversity. Rinpoche will also teach on vipashyana – profound insight meditation. *Please note that attendance to the previous parts is not required. There is no prerequisite – all are welcome. The teaching is based upon a pith instruction written by the 3rd Dodrubchen Rinpoche (1865-1926), one of the most outstanding Tibetan saints of his time and teacher to many great masters. These gems of advice are priceless and inexhaustible treasures that you can use at any given moment to overcome adversity and create more happiness in your life, in the lives or everyone you connect with, and out into the world. The weekend seminar is closed for registration, but space is still available for the public talk by Khenchen Tsultrim Lodrö, one of the most influential Tibetan Buddhist teachers in Asia today. He will speak about the need for both outer and inner development, and how inner development has the greater impact in transforming our lives. This event is free but donations are welcome at the door and all donations go towards Khenchen Rinpoche’s programs for saving the lives of animals. 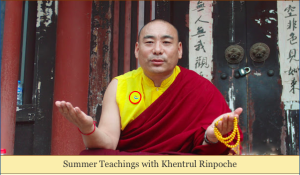 Learn more about Khenchen Tsultrim Lodrö Rinpoche. Understanding how to meditate allows us to unveil the hidden potential for happiness inherent within our minds. Khenchen Tsultrim Lodrö will give meditation based on a text composed by Mipham Rinpoche while providing us with his own personal and unique insights for deepening our meditation practice. 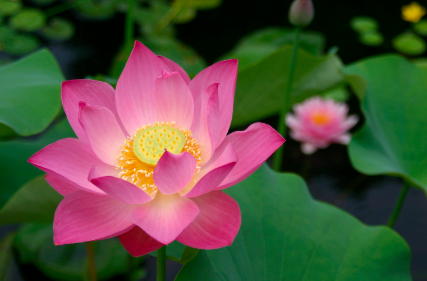 During this retreat, we will alternate between listening to teachings and meditation instructions. Join us for this rare opportunity with both Khenchen Tsultrim Lodrö and Khentrul Lodrö T’hayé Rinpoche, who will also be participating in the retreat. Dates and Times: The retreat begins on Saturday, May 7th with check-in and registration from 8am to 9:30am (Teachings begin at 10am). It ends on Monday, May 9th at 5pm. You can either commute or stay at the seminary. 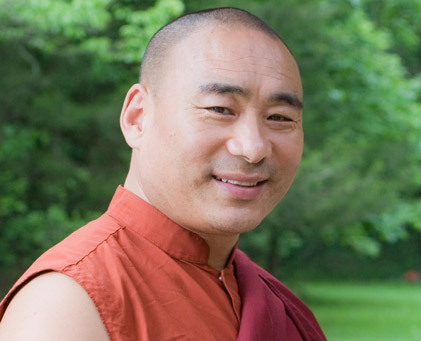 “Carrying Suffering and Happiness onto the Path” with Khentrul Rinpoche, February 20-21, 2016, Westbrook, CT.
Khentrul Rinpoche will reveal some remarkable and little known methods for transforming adversity and cultivating greater well being in our daily lives. The vast majority of us have never even considered using such tools to transform our experience. This unparalleled approach is directly relevant to the modern challenges we face. The teaching is based upon a pith instruction written by the 3rd Dodrubchen Rinpoche (1865-1926), one of the most outstanding Tibetan saints of his time and teacher to many great masters. These gems of advice are priceless and inexhaustible treasures that will enable us to overcome adversity and create more happiness in our lives and in the world. We invite everyone to attend. At the Sangha Center, 19 Fair Street, Guilford, Connecticut. 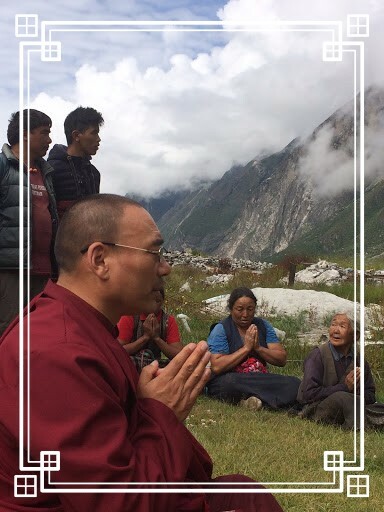 Join us for a documentary slideshow of Khentrul Rinpoche’s trip to the Langtang Village in Nepal on behalf of the Compassion in Actionprogram. See how your donations are being used! Please feel free to share and forward this email invitation with friends. And please bring something yummy to add to the potluck diner following the webcast. “Why Not Tame the Mind? We are showing this final stand-alone session of Rinpoche’s web stream teaching for those who were away during its original broadcast on Labor Day . A potluck meal will follow the teaching, so bring something yummy. Why wouldn’t anyone want to tame their mind? This event is over, but you can still make a donation at the Katog Choling website. While most press images of the catastrophic earthquake and aftershocks in Nepal show the damage in the Kathmandu Valley, the damage was even worse in the mountain valleys north of Kathmandu. This dinner benefit will help get aid to two of these remote areas, which are not the current focus of the government efforts and NGOs. The Rasuwa District, was especially hard hit.This is the district from which many Old Saybrook Tibetans emigrated. Many of their relatives and neighbors in Nepal have lost their homes and their fields, just as the growing season is beginning. 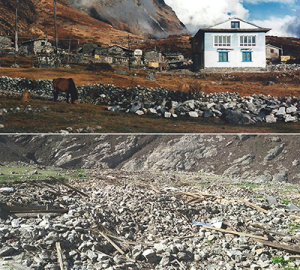 And in the Langtang Valley ALL the villages have been completely destroyed! Survival is the ultimate challenge, especially now that the monsoon rains have started. 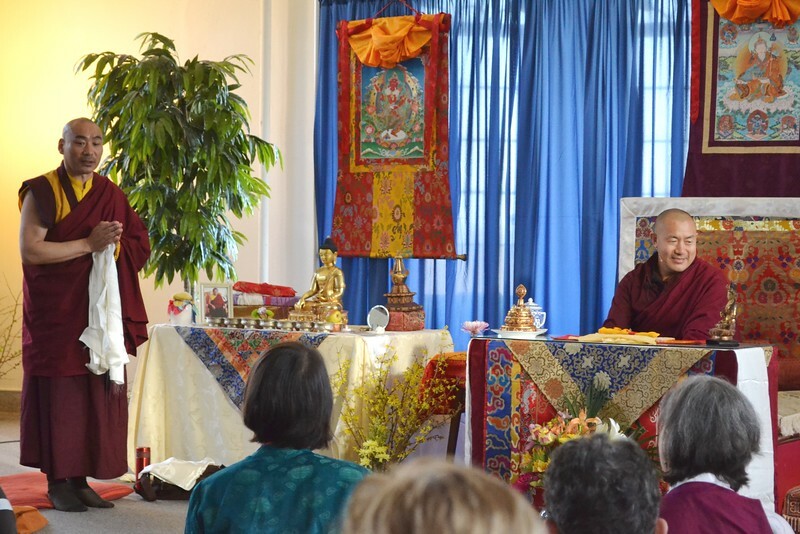 Tulku Rigsang returned to Connecticut for a two-day event at our new sangha center in Guilford. His topic was “How to develop compassion, happiness, and wisdom,” based on the classic text, “37 Practices of a Bodhisattva,” which gives clear, step-by-step instructions that are easy to understand and apply in daily life. Tulku returns to India and then Tibet later this year, so this was our last opportunity to receive this teaching from him: essential, practical advice on how we can turn our minds away from disturbing emotions toward heartfelt compassion for all living beings. June 8, 10am – noon. We will hear a recorded teaching on Death and Dying by Khentrul Rinpoche, originally given in Connecticut during a powerful time when a beloved sangha member was dying. Rinpoche addresses the Buddhist perspective on death and dying, explains the dissolution stages of the physical body and consciousness during the active dying process, and gives advice on creating a favorable environment and practices that can be done at that time. June 29, 10am – noon. We’ll watch a short film by a Buddhist hospice worker that gives a clear view of what we need to do to prepare. Then we will review “The Five Wishes” living will form and a supplementary Buddhist advance care directive that Paloma has created to help caregivers, family, and sangha members know how to support you in the dying process. Here are some articles and a video you can review in advance: Resources for End of Life Care in America. 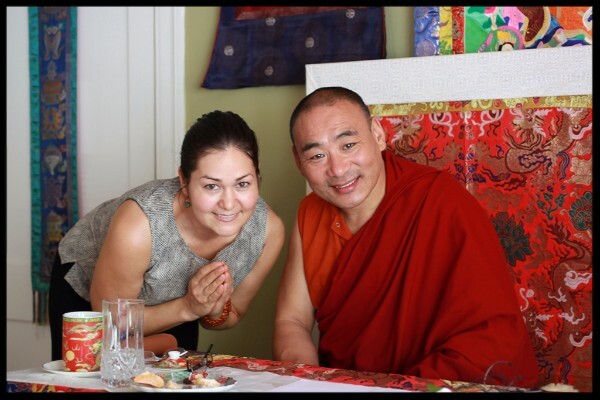 Paloma Landry, translator for Khentrul Rinpoche, will review the various meditation practices and rituals that Rinpoche has taught over the years. Tulku Tenzin Rigsang speaks on Patience as a direct antidote to anger and other disturbing emotions that erode our peace of mind and destroy our relationships. This is not the “hold your tongue” variety of patience, but a practical method of transforming troubled thoughts into kind-hearted intentions that benefit everyone. The teaching is based on a chapter of the same name in the book, The Way of the Bodhisattva, by Shantideva. The teaching is based on the classic Buddhist text by Ngulchu Tokme, which is shared by all Buddhist traditions. This is the second of four teachings on the topic of how to develop compassion. It is not necessary to have attended previous talks. ALSO, ON APRIL 29 For those engaged in the ngondro practice, there will be an afternoon session on the Bodhichitta section of the text. Everything we experience as the outer world, as well as our inner mind, is due to the interdependent play of causes and conditions. In his kindness, the Buddha gave the extraordinary and special teachings on inter-dependent origination to show how confusion and suffering manifest in our personal experience and how these states can be transformed into wisdom and compassion. Khentrul Rinpoche will explain this Buddhist teaching and its relevance to meditation practice and daily life using text composed by Araya Nagarjuna, a first century Indian Buddhist master who had profound insight into the Mahayana teachings. “The practitioner who sees Interdependent Origination sees the Dharma; One who sees the Dharma sees the Buddha.”~ Shakyamuni Buddha, Salistamba Sutra (A Medicine Buddha empowerment will follow the teaching.) Those who wish to take refuge may do so at the end of the event. Taming the ordinary mind is the crucial and unsurpassed foundation for bringing about both temporary and ultimate happiness through spiritual practice. 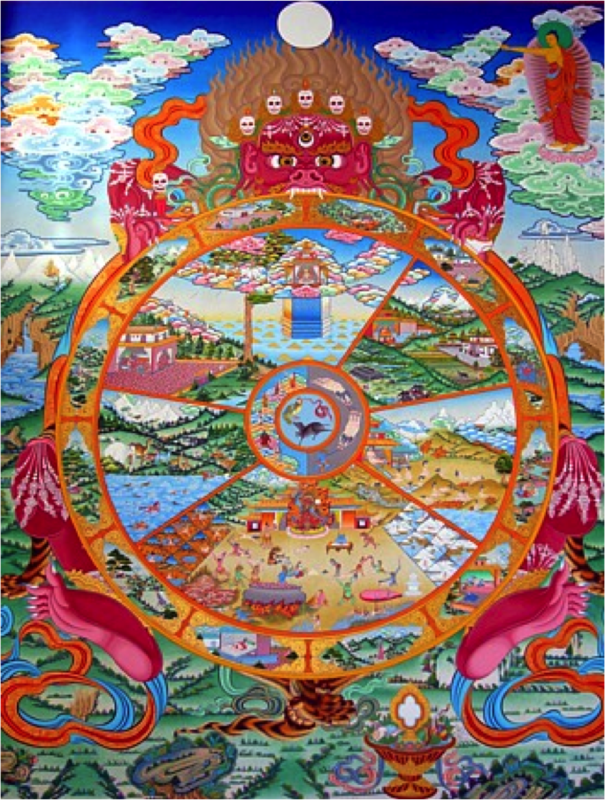 The Seven Key Points of Taming the Mind, taught by the glorious pandita (scholar) Lord Atisha, are widely practiced methods for taming the mind. They are easy to apply in one’s practice, possess great potency, and are extremely effective. 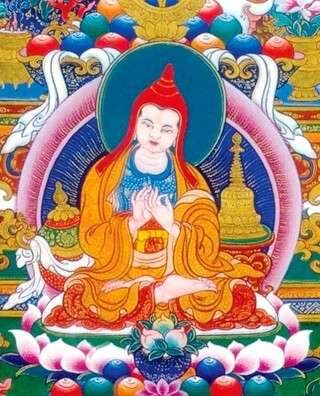 These skillful methods of mind training [lojong] and meditation practice are complete in and of themselves. “Our minds are filled with myriad thoughts that move ceaselessly like waves on the surface of the ocean. We are in constant turmoil and our minds are obscured, like a sky enshrouded by clouds. Thus, we cannot develop inner peace and happiness. This is the main source of suffering. If we know how to meditate correctly, we will be able to unveil the secret of our mind and thus, in this and future lives, establish a basis for happiness.” During this short residential meditation retreat, Khentrul Rinpoche will give teachings on the basic techniques of “one-pointed resting meditation (shamatha) and giving and receiving meditation (tonglen). Students will have the opportunity to meditate together as a group and there will be ample time for questions and answers.